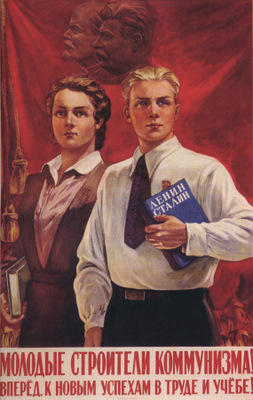 "Young builders of Communism! Go forward to the new successes in labor and study!" Mr. Dougherty is a proud and open Communist.